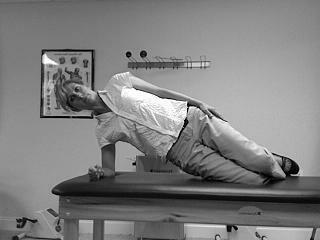 Tess Vaughn, MSPT, COMT is a physical therapist and certified orthopedic manual therapist. 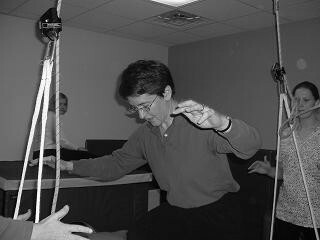 She is also a certified instructor in Maitland Manual Therapy. Lila Ralston, PTA is a physical therapist assistant with experience in orthopedic, neurological and pediatric physical therapy. Click on the headlines below for recent research findings in PT. Injuries to the anterior cruciate ligament (ACL) are 4 to 8 times as common in female athletes as in male athletes. Find out how to prevent them. Young children in daycare or preschool aren't moving around much, even when they're playing outside. Our office will be closed on Memorial Day (May 25). We will be open on the 26th, 27th and 28th. At Medical Rehabilitation Systems, we offer the latest treatment supported by current research. Everything we do is aimed at restoring you to your normal activity level as quickly as possible, while correcting problems that might otherwise lead to pain or injury in the future. We accept all insurance including Medicare and Medicaid. We are conveniently located in downtown Winterville, at 104 Moores Grove Road, Suite 100 (in the rear of Dr. Philip Durden's dental office building). Office hours are 8 a.m. to 5 p.m. Monday, Tuesday and Thursday. Whether your problem is back or neck pain, an athletic injury, or recovery from a knee replacement, we can get you back to the lifestyle you're used to. Call us today at 706-742-0082 for an appointment! At MRS, we're committed not only to your recovery but to helping you maintain a strong, healthy lifestyle. Once you're discharged, we offer the option of an ongoing wellness program using our exercise facilities for a modest monthly fee. We are also available to consult on wellness and injury prevention. Our therapists are members of the American Physical Therapy Association. This site copyright 2009 by Medical Rehabilitation Systems.